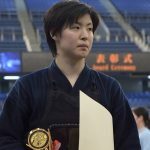 The 12th World Championship Team final between Japan and South Korea continued on until the daihyo match. 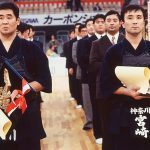 It was the 6th year running that the two neighbors met in the final, and the last two editions had gone on until the taisho match, where Japan sealed the win both times. 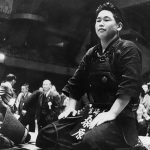 This time, the taisho match also ended in a draw, and the match moved on to the decider between the daihyos. Of course, it was the first time that the final had gone to the daihyo match. Japan lined up players from Osaka Police from the sempo to chuken. 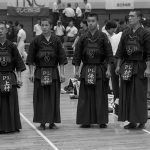 The sempo, Masashi Teramoto, displayed his renowned strength in close games, and claimed an ippon win with a hiki-do, giving Japan a fine start. The jiho, Hiromitsu Sato, who won the individuals in this championship, had to settle for a draw. Then the chuken, Hiroaki Hirata, lost to a men and the game was tied. 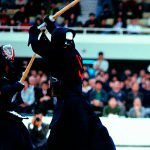 The fukusho, Kiyoshi Iguchi (Saitama pol.) drew his match, and passed the baton on to the taisho, Naoki Eiga (Hokkaido pol.). 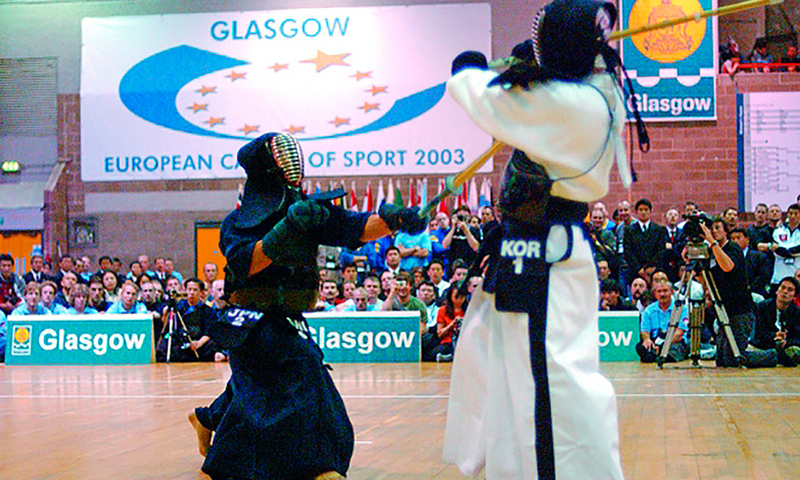 Facing Eiga was Kim Kyungnam, who was yet to lose in this championship and had beaten Japanese players before. He was also taking on a coaching role this year. The taisho match lacked the deciding blow and ended in a draw. This brought the two players, Eiga and Kim, to face each other again in the daihyo match. Both players took a cautious approach. When one player closed the gap, the other player who cut that gap. Kim tried for a kote as Eiga advanced, and Eiga also sought an opportunity for a kote and the one-handed jab. He was prowling for the opportunity with several one-handed jabs during the match, before finally got one through for the win. As the spectators watched in silence, at about the 10 minute mark Eiga unleashed a strong one-handed jab that saw three flags go up. The players and staff embraced each other and shed tears of joy as they came out of the arena. 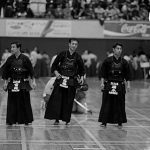 In the following World Championship Japan would lose to the USA in the semi-final, then reclaim the title, but Japan has not faced a situation since this edition where a taisho had to win to save Japan’s title.